Yesterday we went through an entire range of activations again. 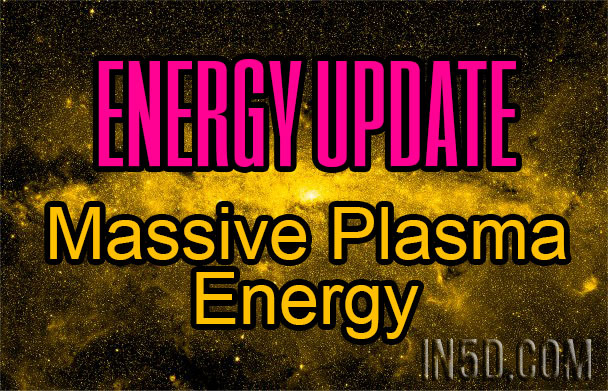 Massive plasma energy exacerbating any distortions of the human mind. Template clearing, cellular cleansings, zero point/void spaces… all in & out, activating, anchoring, clearing, shifting… zoom zoom zoom… instantly then onto the next… It’s the fastest cycling I’ve seen thus far and we continue to increase all …. For me it was clearing remnant twin soul energies that were still trapped in my own cells, cutting any old cords of thoughts, recognizing any emotions left, for our connection is so strong, when he goes through stuff, I see/feel/know it here. To recognize this and to honor this, these things don’t have to keep us bound to anything anymore. We can cut the cords, clear the distortions, move out any remnants and we can move on. Doing so opens up for higher vibrational realities to be able to re-align. Many don’t understand that as true soul families, we are always connected through our soul-hearts and working together in different dimensions, not just the immediate physical one. We can support each other, love each other, be there for each other… when/as it is appropriate, yet do what we need to do for ourselves, while fulfilling our current purposes here, whatever that is. For many, it’s just waking up, just starting to understand, just starting to realize many different things, and each must be given the space to do their own journey however they so choose…. Sometimes it’s hard, to watch other have a rough time, go through things that “could be easier”, yet we do understand “how & why” all occurs and above all, we honor this. For the separated human, judgment will enter in. Here we do not judge, we don’t actually care… Not that we don’t care, because we care deeply, from the depths or our soul, yet we don’t hold the lack, need to save, impose our perceptions on anyone else… for that was of the old. For others, they are finally focusing on their own selves for the very first time. Learning how to honor, REMEMBERING respect for self, REMEMBERING what is truly important, REMEMBERING/FEELING the PURE LOVE that was hidden deep inside, coming to build their own power from within, to get themselves out there, to start to make a bigger difference, contribute and support more… because it actually matters and means something to them. Getting the human to stop focusing on physical world things first, feeding lack energy, “thinking” they are less, believing the old stories that are no longer true… this takes awhile… and occurs as each “needs it to”. WE have patience, we trust and we know… all shall occur exactly as it is meant to…. and we allow each to choose their own journeys… for all paths lead to the same place. All will lead to each’s soul, how much they value this, how much they are willing to open up, listen and live from Sacred Honor, Integrity, Love and Respect…. Having gratitude and appreciation for absolutely everything takes establishing that connection to self-as-source…. PURE SOURCE LIGHT… from inside… and holding it all of the time….. as a natural and organic way of being…. Dedicating ourselves… this takes repeated experiences too. For the heart must be dedicated and for the human, it’s only their head. Moving EXISTENCE from the head to the heart… is a continual process… where complex and simple both apply. Where we are disconnected (not dedicated), then this is separation inside….. all events occur to trigger this separation so that it can become visible, so that it can be felt and cleansed from our physical body template, gridwork and cells. What is important changes as we continually shift. Vibrancy, happy, love, joy and magic… something everyone is capable of and has the capacity for now. Each must just allow and desire these things more than the things of the old…. Being a contributor will drive your soul, making a difference, feeling the light in others, sharing to re-educate through love, showing others that the old isn’t true anymore, bringing beauty, activating light, inspiring other souls to awaken…. these are our realities here. Connecting with other SOULS…. communicating through energy that requires no spoken words…. This process means that you are vulnerable without being vulnerable…. for exposing your heart means that you have finally understood that this is where your true power comes from. The walls finally gone, you need not protect yourself into lack anymore, for each barrier you put up blocks you from receiving the brilliant abundance of NEW EARTH…. You start to realize that if you desire to experience something then you have to transmit that frequency of DOING THAT FIRST…. as you cannot receive on an abundant basis that which you are not willing to do… that your own actions trigger the physical reality to start to occur…. for you…. for everything IS A RESPONSE. If you desire to be supported, you must support. If you desire generosity of others, you must be generous. If you desire purity you must be pure… if you desire open loving respectful communication, you must be the one to hold that vibration. When you start DOING the frequency abundantly, THEN YOU CALL IT FORTH TO YOU… yet it will take as long as you are separated from yourself inside….so you clear this separation yourself…. you recognize your old programs, where you came from lack… you realize that YOU CREATED EVERY BIT OF “THAT”……………..